February 2014 – A project by Philipp Schmitt, Louis Fischediek	and me. By 2020 there will be 16 billion devices connected to the web. This “Internet of Things” will be everywhere, but mainly invisible. 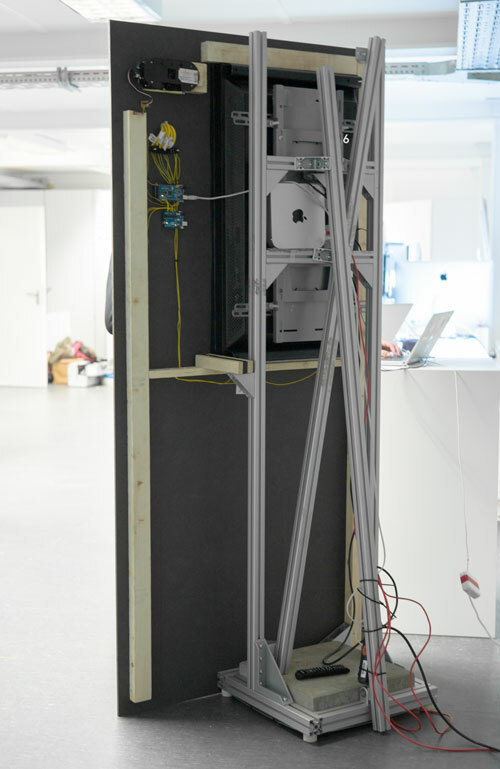 With the “Internet of Things Switchboard” we wanted to visualize what machine will be talking about behind your back. 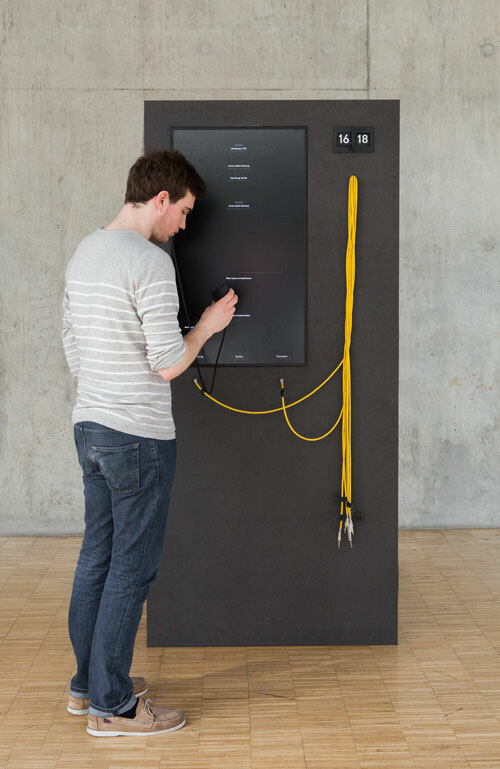 Our installation was inspired by a telephone switchboard. 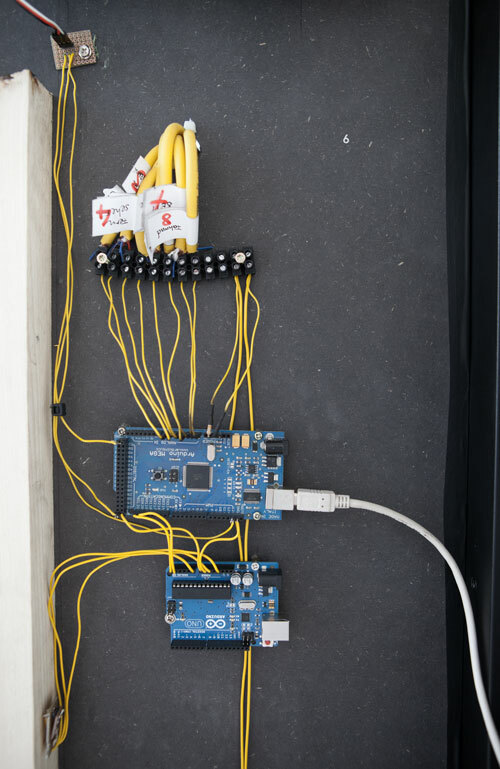 It consists of a matt 40″ screen, a retro clock and yellow cables. 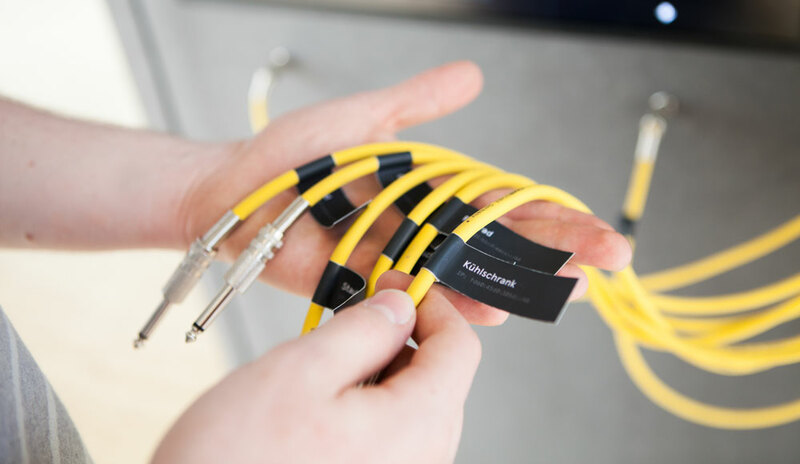 Each cable stands for one device you own. Connect them to the web by simply plugging it into the holes below the screen. Once you do so, the devices start logging their information into their column. The middle column is moderator or operating system of what is going on – it makes sense of all this data. But why is data important? Everybody is talking about big data in a techy way, but we wanted to show the ordinary person what it means, why it matters and where it starts to become creepy. My phone knows that my meeting starts at 8′o clock in the morning, so it tells my alarm clock to wake me at 6:30 because my shower knows that I didn’t use it yesterday evening. This sounds quite nice – maybe unnecessary – but we also wanted to show the negative potential of the Internet of Things. Do I want my smart bed, which doubles as my connected scale, to know when “my physical activity is high” in bed? Maybe I don’t care, but companies like “Durex” do. There are a lot of tiny examples like these we hid in our installation. Your energy efficient hoover which only works with the newest software update (* for 3.99€). Your TV which downloads the newest Episode of your favourite TV Show and updates my Google Ads accordingly. Endless possiblities. We created our installation using processing. A Mac Mini on the backside of the installation was running the sketch, which was also communicating to two Arduino boards used for the physical interaction. 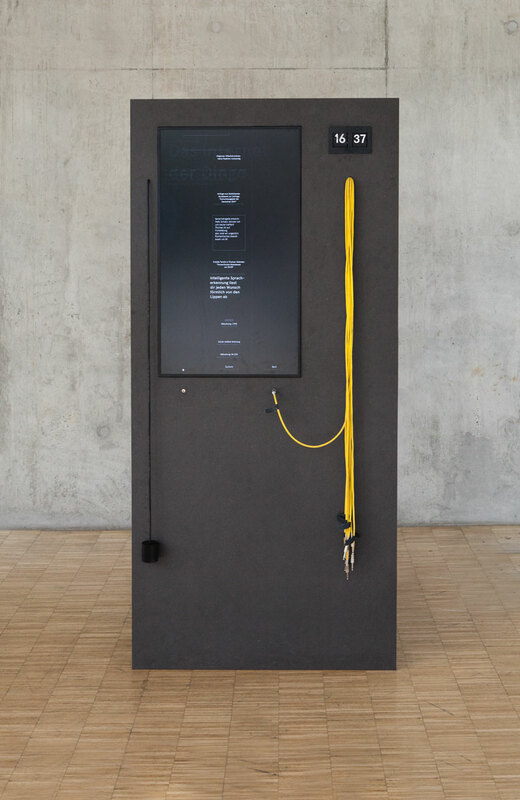 During the semester exhibition at HfG, the IoT Switchboard turned out to be a great starting point for discussions about the internet of things. After people had become familiar with the topic in general, we had some great conversations, especially regarding privacy concerns or possible applications for this technology. Above all, we ourselves learned a lot about the internet of things. The project helped us get the bigger picture and understand better the possibilities and limitations — things you don’t see when you read about the latest smart gadgets on your favourite blog.